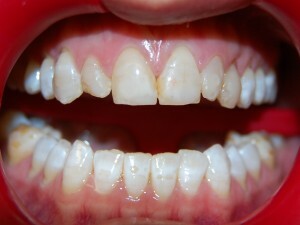 The crown of the tooth is that part which is visible in the mouth. An artificial crown is used to protect and restore a broken, weakened or heavily filled tooth. 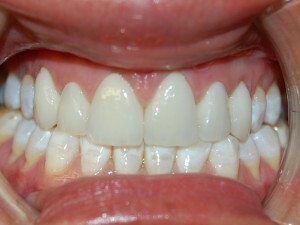 They are also used to improve the appearance of discoloured or crooked teeth. Crowns are made of many different materials including metal and ceramics. The dentist will shade match the tooth so that, when the artificial crown is fitted, it will be the same colour, size and shape as a normal tooth. 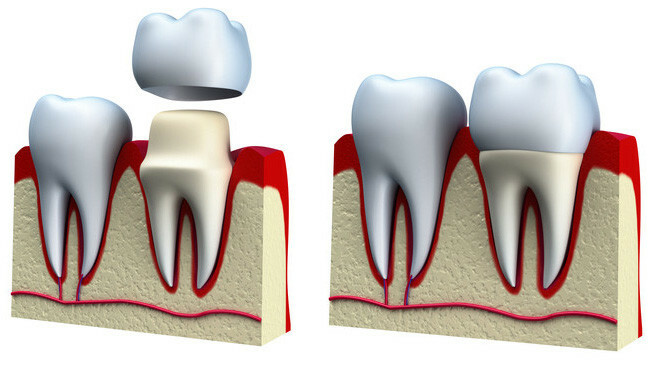 If the tooth has died or there isn’t enough left to support the crown it may have to be root filled first – this is sometimes called removing the nerve. The crown is sometimes held in place by a peg or post in the root canal if a lot of the tooth is still missing. Your dentist will use soft mouldable material to make an exact impression of what remains of the tooth that is to be crowned and the adjacent teeth. A temporary crown made of plastic is usually put over the tooth until the permanent crown is made. You can chew on a temporary crown but it won’t be as strong as the finished one. Depending on the strength of the tooth underneath, a crown can last for many years if you look after your mouth and the crown is not accidently damaged.